As someone who frequently wears his glasses in the hills, sunglasses have long been an area where I have needed to compromise. I don’t wear contact lenses and prescription sunglasses were always just too expensive and too fragile to consider buying to bring to the hills. Enter Sportviz XTS Core, a ruggedized pair of hiking sunglasses with prescription inserts, specifically designed to handle the conditions found in the outdoors. 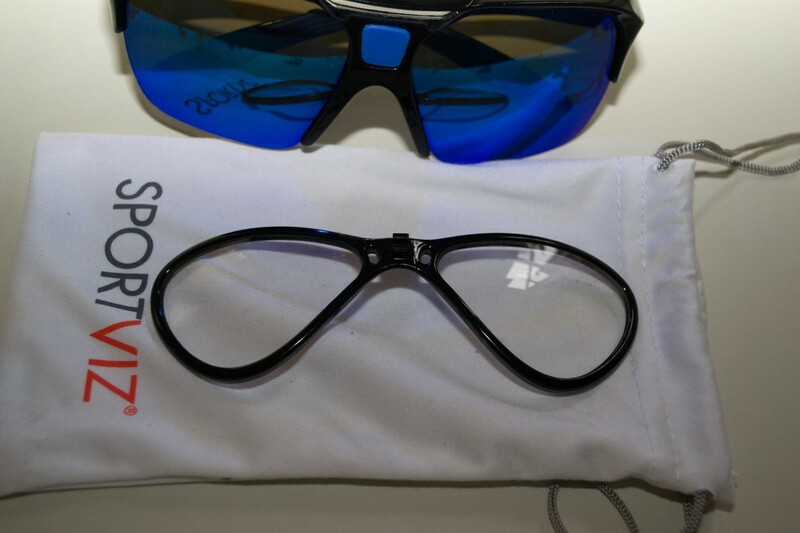 The Sportviz range makes the eyewear frame unit (The core) available separately from the prescription lenses (The “inzerts”). This way you can purchase a single set of inzerts for your prescription and hot-swap them between your hiking sunglasses, your swimming goggles and your sports googles. They also produce a tactical core for games like Airsoft and paintball. Not only does this make much more practical sense than using fragile fashion sunglasses for sport for example, but it greatly lowers the cost of buying eyewear suitable for each use. If your prescription changes – just replace the inzert to use with all your core units. The core unit reviewed is priced at £49.95 while the single vision inzerts are priced at £25. This makes these particularly good value for money if you envision needing multiple cores or anticipate your prescription changing over time. Now that you’re familiar with the modular concept of the Sportviz eyewear range, the remainder of this review will focus on the performance of the XTS Core unit with prescription inzert as a whole. The sunglasses arrive very well packaged, with a durable yet lightweight clamshell case equipped with a carabiner. 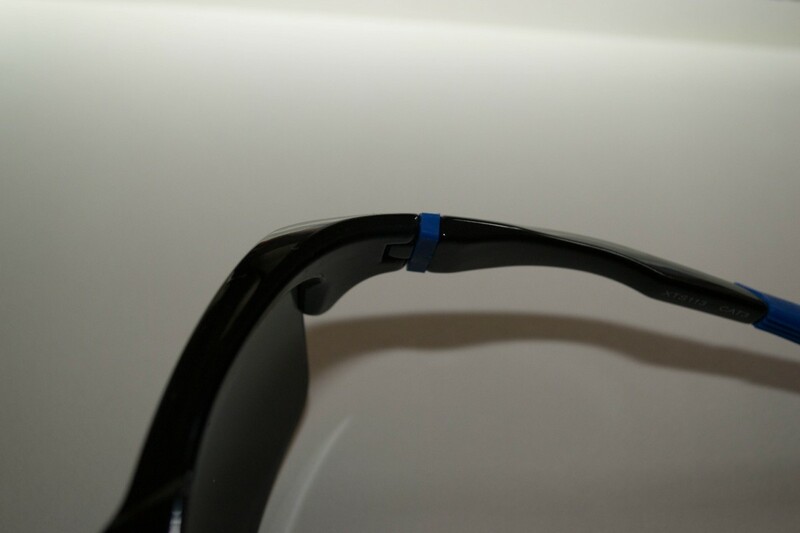 The sunglasses inside are housed in a cloth holder which protects them further. The carabiner is a nice touch as it allows you to clip the sunglasses to the outside of your pack for easy access rather than stuffing them inside. With the changeable nature of Irish mountain weather I found this to be useful as on some trips I found myself regularly putting on and removing the sunglasses as clear skies and clouds came and went throughout the day. The zip on the clamshell is sturdy and doesn’t snag and the design is relatively water resistant. It’s unlikely you’ll be bringing your sunglasses on a day when a deluge is forecast, but it’s good to know if you bring them on a changeable day that you don’t have to worry about them when that unexpected shower arrives. The clarity of the sunglasses were first rate which made a nice change from my usual compromise. Ordinarily wearing sunglasses for UV protection meant forgoing my prescription correction, which can be tiring on the eyes. Landscape details were crisp and easily discerned and I never felt like I had to strain my eyes like I would with non-prescription sunglasses. 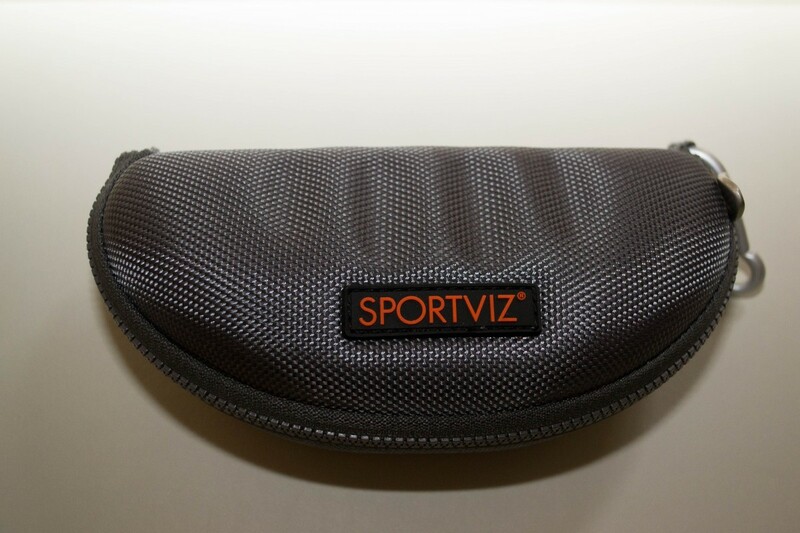 Sportviz claim the XTS to have UV400 protection (100% blocking of UVA and UVB) and while I cannot formally test this I can say that I have enjoyed glare-free hiking while searching the landscape with the sun in my eyes – without so much as a squint. The design of the glasses also provides extra lens width which prevents any awkward inlet of light through the sides – a nice touch. The materials used are Chromalite polyamide for the lenses and TR90 plastic for the frames. 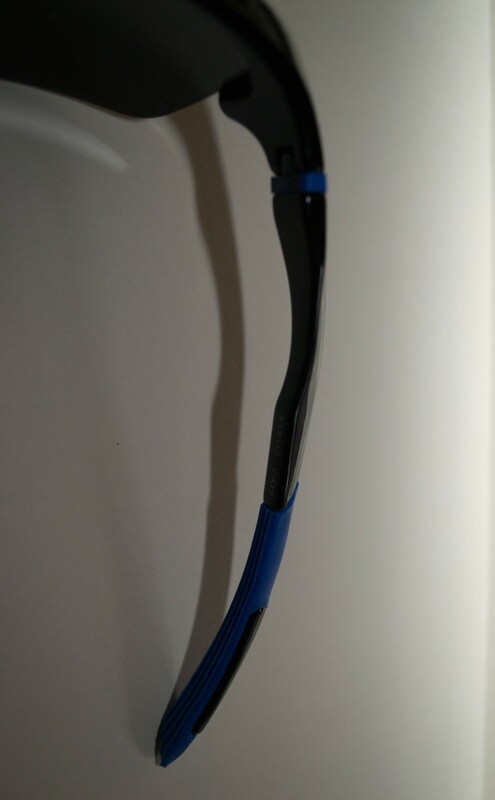 Areas such as the arms are rubberised with a soft, yet surprisingly grippy rubber called “Hydrogrip” which I’ve found helps keep the glasses in place even when you’re sweating heavily. The hinges are sturdy, in keeping with the generally robust design of the product. This robustness does come at a cost however. These aren’t the sunglasses I’d grab for a walk around town or a stroll along the beach. The solid, robust nature of the product makes them less trendy than more fragile fashion sunglasses – but this isn’t something which would stop me from buying them. These are for use in the hills where function and durability are paramount. 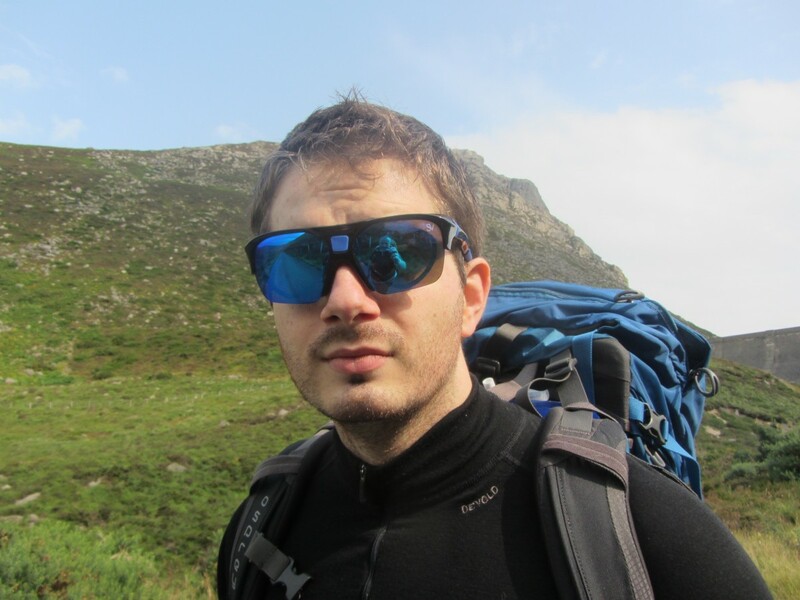 I’ve worn these sunglasses on numerous hiking, camping and climbing trips in the Mournes and luckily we’ve been blessed with some pretty fantastic weather this June / July. The solid build allowed me to just get on with what I was doing, unlike times where I have brought regular sunglasses and have had to take great care not to damage them. The outer lenses have received a few scratches from being carelessly set down on rocks and such – but thankfully this doesn’t seem to affect clarity / vision through the glasses at all. I was a little apprehensive at first about trying a modular eyewear system – concerned that the glasses would feel “stacked” and unwieldy. After some real world testing though I’m glad to say the modular nature of the system isn’t noticeable at all – they feel like a single integrated unit – without the downside of needing to replace at full cost when your prescription changes. The XTS Core are a robust pair of hiking sunglasses which provide full UV protection and first rate prescription vision correction. They’ll take as much of a beating as you’ll give them in the outdoors and you won’t need to worry about them when you’re out enjoying your hike. They are a little clumsy in appearance when compared to designer / fashion sunglasses, but this is to be expected when you’re making something to take this kind of abuse. For anyone who needs UV protection and vision correction in the hills – but has been leaving fragile prescription sunglasses at home – these are for you. Also the modular inzerts system allows you to change at a fraction of the cost when your prescription changes – and also to clip-in your prescription to a wide range of sports eyewear produced by Sportviz. Ed hikes and camps regularly in the Mourne Mountains, finding it the ideal contrast to working in the IT industry. Ed prefers a bivvy bag for shelter, favouring their versatility and greater exposure to surroundings.